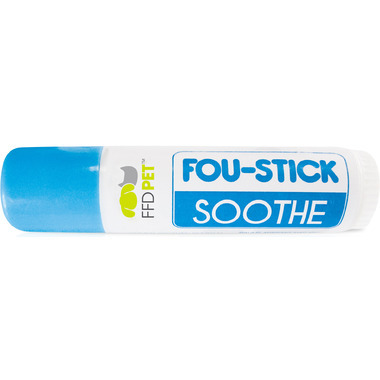 Help soothe your pet’s dry itchy skin with the FFD Pet Fou-Stick Soothe pet balm. Using a combination of rich, soothing natural ingredients such as aloe vera and neem oil, this pet balm is designed to help relieve dry itchy, irritated skin. This pet balm includes coconut oil and shea butter that forms a natural moisture barrier! Ingredients: Beeswax, Coconut Oil, Mango Seed Butter, Castor Seed Oil, Apricot Kernel Oil, Shea Butter, Aloe Vera, Calendula, Neem Oil, and Vitamin E.